Melanie Usher, aka Melanie Engelmann, is a name known to many radio listeners in Adelaide. But she also has a following as the queen of pop culture in Adelaide. Tonight, she stays at home while Taylor Swift plays the ‘Ent Ad’, to be on The Adelaide Show. We talk radio, news, news making, pop, Oprah, Madonna, and heat! Her husband, James Engelmann, who is known as the man doing traffic reports to get you home safely each night, also pipes in with some pieces of wisdom. In IS IT NEWS, Nigel tests us on the theme, Pop Culture. Max Martin from iNform Health and Fitness Solutions – has his Made To Move Minute: He draws some insights from the world of pop culture. Our SA Drink of the week is a Farmers Union Iced Coffee. We taste a Farmers Union Iced Coffee. Tasting notes. Mel Usher is a name known to many radio listeners in Adelaide. She has been distilling and delivering the news to audiences for more than a decade but after hours, she writes and shares about pop culture, primarily through her twitter account, mjgal, but also through an impressive pinterest account, melaniegal. 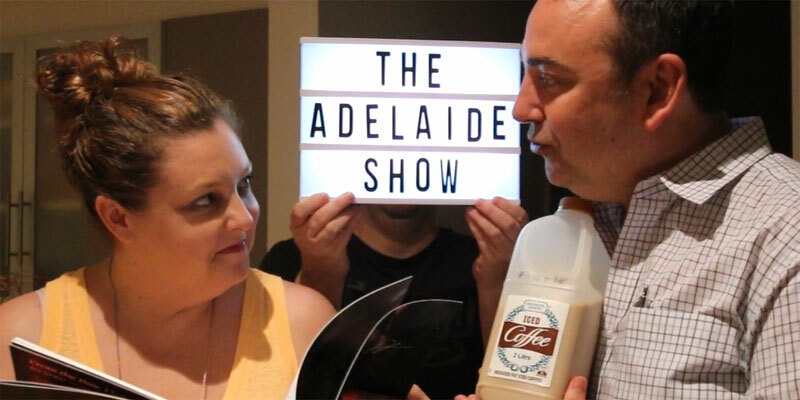 @TheAdelaideShow Be there in April and we’ll use Adelaide as a jump off to the Outback & Flinders. Plan to see a Port Adelaide game too! And our song this week, Hope by Christian Andrew, recommended by our musical curator, Adrian Miller, from Radio Adelaide’s Monday night program, Songcatcher.